Negotiators working to hammer out a deal between National Grid and about 1,200 locked-out workers will probably resume midweek. Negotiators working to hammer out a deal between National Grid and about 1,200 locked-out workers will probably resume midweek as officials representing the employees review the utility’s latest contract offer made late Friday night, according to union officials. National Grid presented new terms for an agreement at the end of a bargaining session that night, details of which were not released Saturday. A National Grid spokeswoman declined to comment Saturday afternoon. Leaders of the two United Steelworkers locals involved in talks with National Grid said they have tentatively scheduled the next negotiating session for Wednesday. “While we continue to bargain in good faith, we have not yet reached an agreement and issues remain,” John Buonopane, president of Local 12012, and Joe Kirylo, president of Local 12003, said in a statement to the Globe Saturday afternoon. The sides had previously announced their intention to reach an agreement by Friday. 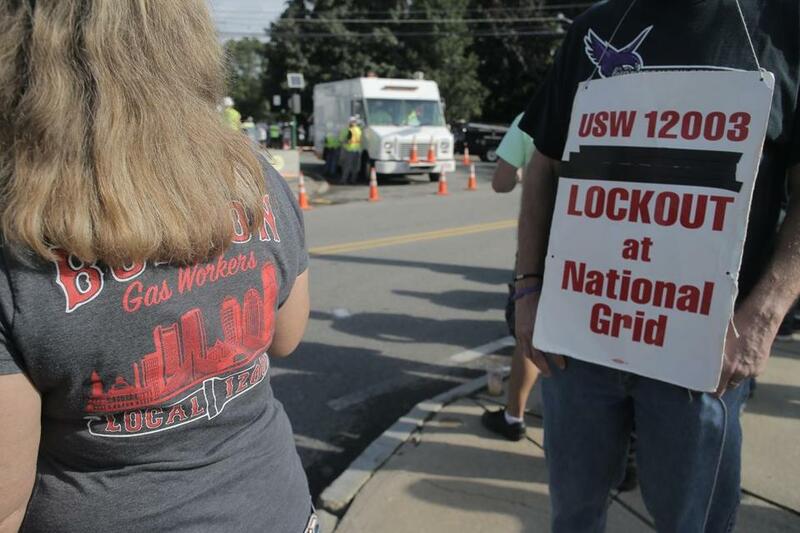 The National Grid employees have been locked out since June, following months of contentious contract talks. Negotiators for the sides took a break for Christmas and resumed talks Wednesday, Thursday, and Friday, according to a joint statement released early Saturday morning by National Grid and the unions. On Saturday afternoon, Buonopane and Kirylo called for action on “crucial” legislation that would extend unemployment benefits for the workers. National Grid halted the employees’ health insurance July 1, and entire families lost their coverage. The unions have helped many members with health care coverage and other bills during the lockout. Their unemployment benefits could expire Jan. 14. “We urge Governor Baker to sign this legislation today, which preserves a critical lifeline for workers who have had their paychecks and health insurance ripped away by National Grid for more than six months,” Buonopane and Kirylo said in the statement. Earlier this month, the House and Senate passed bills that would extend the workers’ unemployment benefits for up to 26 additional weeks, or until the lockout ended. On Friday, Baker’s office said he was reviewing the legislation. A separate bill that would require National Grid to provide health insurance to the locked-out workers and deprive the utility of rate increases and public funds was the subject of an emotional public hearing on Beacon Hill in early December. Mark Arsenault of the Globe staff contributed to this report. Katie Johnston can be reached at katie.johnston@globe.com. John Hilliard can be reached at john.hilliard@globe.com.